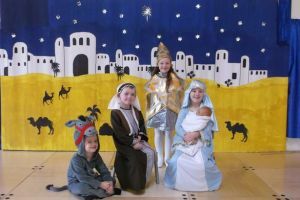 This round-up of Chriistmas shows - mainly traditional nativities - is super cute and covers schools from Walker to Washington, Gosforth to Gateshead and beyond. The video shows children aged five to seven at Delves Lane Primary School in Consett who performed Christmas songs in five languages to parents. Tutor Rachel Prior of Lingotot held a weekly after school club for the children for just 10 weeks. 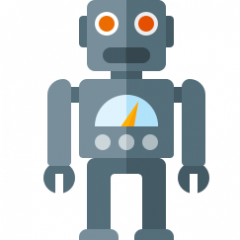 She said: "I am incredibly proud of my Lingotots." The gallery below shows some wonderful cheeky grins and faces of Christmas concentration as well as great group photos of the whole cast in these photographs submitted by schools. So much work has gone into the productions, including costumes and stage sets as well as all making time for all those essential rehearsals. And it is all very much appreciated, creating fabulous memories for participants big and small, as well as their friends and families, in the years to come. Don't miss the Chronicle's special Christmas Stars print supplement featuring as many photographs as we can from all the schools who took part, on Wednesday, December 20. The schools included here are: Adderlane Academy, Prudhoe; Appletree Gardens First School, Whitley Bay; Barmston Village Primary School, Washington; Beaconhill Primary School, Cramlington; Bedlington Station Primary School, Bedlington; Beech Hill Primary School, Walbottle; Bridgewater Community Primary School, Benwell, Newcastle; Burnhope Primary School, County Durham; Busy Bees, Durham. This year saw the timely launch of a brand new purpose-built construction training centre to serve the next generation of construction professionals here in the North East. 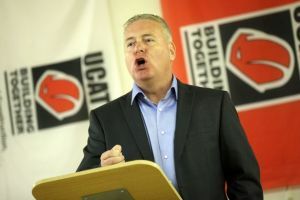 Trainbase, located in South Northumberland, was officially opened in April by MP for Wansbeck Ian Lavery and over the past nine months, has gone from strength to strength with the expansion of both its staff and range of courses. At a time when the construction industry is facing a major skills shortage, Trainbase is dedicated to delivering the highest quality standards in construction training to help meet the needs of local individuals and businesses who require accredited training and testing, delivered in a professional learning environment. The centre is situated on a 20-acre site at Burnt House Farm in Bedlington, which incorporates a 15-acre all-weather, free-draining digging area. The facility also comprises a large outdoor training area, as well as office accommodation with training, testing and conference rooms. 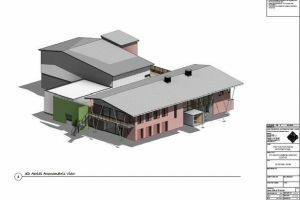 Plans are also under way to add an indoor roller and street works area by January 2018. 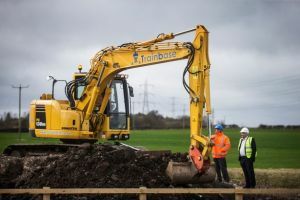 Using a selection of new, modern machinery, Trainbase provides accredited training and testing across multiple awarding bodies, including an extensive range of CPCS (Construction Plant Competence Scheme) and NPORS (National Plant Operators Registration Scheme) categories, short courses, street works and Level 2 Plant NVQ’s, as well as bespoke courses. 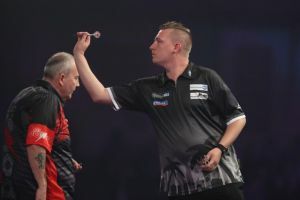 Darts legend Phil Taylor has dubbed North East star Chris Dobey the ‘future of darts’, after winning past him in the first round of the 2018 World Championship. Bedlington’s Dobey bowed out at the first hurdle on Friday evening, despite a valiant comeback against the 16-time World Champion. Having fallen 2-0 behind in sets, Dobey fired back to win the third set and missed two darts at double 16 to force a final set, as he succumbed to a 3-1 defeat to ‘The Power’. Nonetheless, Taylor - who is retiring after the competition - was left mightily impressed by Dobey, admitting his relief after seeing off the talented youngster. “There was a lot of pressure on me,” Taylor told PDC TV after the game. “But to get past Chris Dobey. When they keep talking about the future of darts, that is your fella, I think. Bedlington darts ace Chris Dobey admits it is a ‘big thing’ to be playing Phil Taylor in a World Championship but is motivated by the prospect of being ‘The Power’s’ final ever professional opponent. Taylor, who has been crowned World Champion an incredible 16 times, will retire after this month’s World Championship, bringing the curtain down on a career that has spanned over 30 years. ‘The Power’ has won over 80 TV major titles during his illustrious career and won his first World title 27 years ago - four-and-half months before Dobey was born. The pair meet for the first time on a televised stage this evening, and while Dobey is excited to play a ‘legend of the game’, he is determined to make a name for himself and become the final man to beat the most decorated player of all time. “I was happy with the draw,” Dobey told ChronicleLive. “I knew it was always going to be a tough one but with it being Phil’s last year, it’s nice to say you have played Phil in a World Championship. The 25th edition of the PDC World Championships rolls into town on Thursday, as darts fans are treated to 18 days of pure tungsten theatre. 72 players will compete for the famous ‘Sid Waddell Trophy’ - named after the Geordie darts commentator who helped transform the game into the global brand it is today. 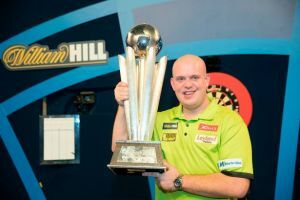 Michael van Gerwen became a two-time World Champion last year as he beat Gary Anderson in an exhilarating final, and he arrives at the Alexandra Palace in London, as the overwhelming favourite for a third world title. He opens the show this evening against 2012 BDO World Champion Christian Kist, who has struggled badly through injury this year, and is unlikely to prove too much of a hurdle in MVG’s pursuit of the £400,000 first prize. Emerging stars Mensur Suljovic and Daryl Gurney will be confident of success after winning major titles in 2017, while the rise of debutant Rob Cross this year has seen him competing at the latter-end of major tournaments. All three players are in van Gerwen’s half of the draw, however, as is five-time World Champion Raymond van Barneveld - who famously knocked van Gerwen out in 2015. PDC World Darts Championship 2018 TV Details: What channel is it on? Who is the favourite? The 25th edition of the PDC World Championships rolls into town on Thursday, as darts fans are treated to 18 days of pure tungsten theatre. 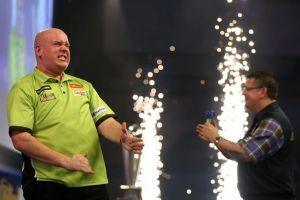 Michael van Gerwen became a two-time World Champion last year as he beat Gary Anderson in an exhilarating final, and he arrives at the Alexandra Palace in London, gunning for a third world title. Anderson, a two-time World Champion himself, and number two seed Peter Wright are likely to be riding on van Gerwen’s coat-tails as this year’ competition promises to be the most exciting yet. Retiring darts legend Phil Taylor looking forward to Newcastle swansong in the Premier League 16-time World Champion Phil Taylor will call time on his illustrious career after this year’s tournament and he will be keen to sign off with a 17th triumph on the world stage. However, we have a vested interest of our own in Taylor’s progress, as he takes on Bedlington star Chris Dobey in the first round. We asked readers to share a photograph of their Christmas tree - and what a fabulous display there is to see! 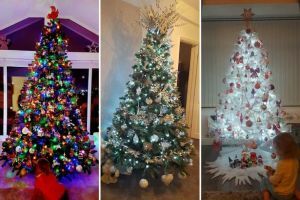 Over 800 readers showed off their Christmas pride and joy - and then voted for their favourite trees from those posted on the Newcastle Chronicle Facebook page. And here are are top 20. Thanks to all who shared some Christmas joy - from huge, blazing beauties to treasured family heirlooms. As you can see, there is a huge range of trees, with fibre-optics or handmade decorations and unusual colour schemes. And there are lots of ideas for dressing your own tree if yours has yet to go up. This article features the favourites from our Facebook page by 9am on Thursday - but we will feature more later this week in further galleries, so do look out for them! 1. Seb Howarth in Whitley Bay topped our poll with 262 reactions to his wonderful, traditional-style tree, glowing with hundreds of tiny lights and topped by a little Christmas fairy. He said: "This is our first Christmas in our new home." Congratulations on a marvellous tree! 2. Steph Craig's Newcastle tree was very popular too, with 206 reactions - a huge vote from those who love the stylish bright, white look at Christmastime. The big bows are a fashionable addition which those who haven't got their tree dressed yet might like to imitate. 30 North East people who had very strange names - and they're absolutely genuine! What’s in a name? Apparently Forest, Hawk, Hunter, Fox, Storm, Hallie, Aurora, Skye, River, Rowan and Raven were just some of the unusual monikers given to babies born in the UK this year. The Chronicle revealed the findings of the website Babycentre earlier this week. It’s not only modern parents who gave their offspring left-of-centre names, however. 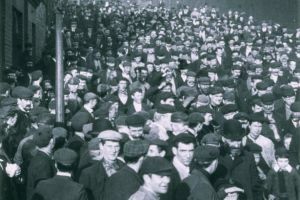 A trawl through the census returns and birth, marriage and death records of the late 19th and early 20th centuries reveals some truly odd names (some of which are unprintable in a family publication). The following are all genuine names of people who lived in the North East. A pub raider who stole thousands of pounds when he targeted five bars and social clubs across Tyneside and Northumberland is facing jail. 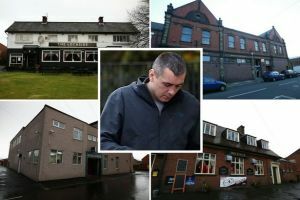 Serial thief John Cook broke into the licensed premises between June and November and usually smashed up fruit machines to pocket the cash inside. A court was told the bungling 39-year-old was snared on each occasion by either leaving an item of clothing or blood at the scene or setting off an intruder alarm. On his final break-in, at the Lochside pub, in High Heaton, Newcastle, he made off when was confronted by the owners but later tracked down by a police dog. Now, Cook, who said he was of no fixed abode but is formerly from Coach Road, in Wallsend, is facing a lengthy prison sentence after he pleaded guilty to four counts of burglary and was found guilty after a trial in his absence of a fifth count. He also admitted a separate charge of theft during a hearing at South East Northumberland Magistrates’ Court. If you’re a landlord looking for a project then this two-bed flat in Bedlington could be for you. It’s going under the hammer next month with bidding set to start at £14,000. Situated in Liddle’s Street, the ground-flood flat is just yards away from the ‘Good’ Ofsted rated Bedlington Primary School. There are regular bus links to Newcastle, which is 25 minutes away by car, while Bedlington’s town centre is around half-an-hour’s walk away, or 10-15 minutes on a bus. There are local shops, including a Boots pharmacy and Premier convenience store on Ravensworth Street, which runs parallel to Liddle’s Street. 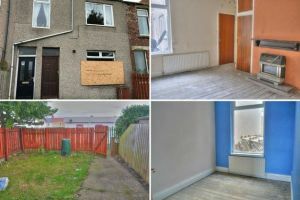 But there is a reason the price starts so low: the property is in need of a “full refurbishment,” as the pictures show. Estate agent Rook Matthews Sayer says it is a “must view” for anybody interested, and it looks like taking a thorough look around is a good idea before putting in a bid at the auction house. In the estate agent’s words, “this ground floor flat would make a great purchase for those looking for a project”. Inside there’s an entrance hall, kitchen area, lounge, bathroom and two-bedrooms. There is a shared yard to the back and a garden in the front. Newcastle firms JDDK Architects and Fairhurst Consulting Engineers have formed a new partnership that will design and build cutting edge cancer treatment centres across the country. The new partnership is called DFJ Designs and also includes Manchester building consultants Dresco. It will work exclusively on the development of three proton beam therapy centres, which are used to treat cancer, including one in Northumberland. The oncology centres are being brought to the UK by Proton Partners International, and will be built in Reading, Liverpool and at the Earth Balance centre near Bedlington, Northumberland. Each cancer centre will offer proton beam therapy as well as conventional treatments such as chemotherapy, radiotherapy, diagnostics, imaging, and wellbeing services. Kevin Turnbull, director of JDDK Architects, said: “We are delighted to have been appointed on a long-term strategic partnership contract for Proton Partners International and to have now been confirmed as the incumbent team to deliver all future centres for the company across the UK.” DFJ Designs was launched at JDDK’s 30th anniversary celebrations. The partnership has already collaborated on two of the projects at Northumberland and Reading, while the Liverpool project is set to start in January. An MP is calling on the Government to fit all new and refurbished schools with sprinklers after four classrooms were destroyed in a suspected arson attack. A fire broke out at St Benet Biscop Catholic Academy in Bedlington, Northumberland, on October 26, causing “substantial damage” to one classroom. Teachers said the blaze spread and damaged three other classrooms at the school, which is not fitted with sprinklers. Northumbria Police has launched an investigation into the incident and believe the fire may have been started deliberately. Now, Wansbeck MP Ian Lavery has written to Amber Rudd MP, Justine Greening MP and Alok Sharma MP demanding sprinklers are installed in all schools. In the letter, Mr Lavery said: “Many local people have been in touch regarding the provision of sprinkler systems, appalled that their presence is not mandatory either in new build or existing schools. 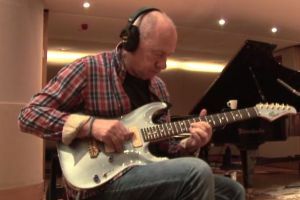 Rock legend Mark Knopfler honoured fallen war heroes as he performed a moving guitar version of the Last Post. Mark, who grew up on Tyneside, dedicated his performance to the 17,000 Northumberland Fusiliers killed in the First World War. 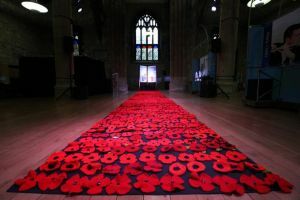 The rendition was part of a centenary music project organised by community group Superact, which will see events held between November 4 to 18 to mark 100 years since the start of the Great War. Mark said: “The First World War left its mark on families throughout the UK, and throughout the world. “It is important to remember the sacrifices made, and to think about why wars happen.” Having gone to school in Blyth, Mark dedicated the Last Post performance to the Northumberland regiment, which suffered more casualties in the war then any other. A man has been cleared of killing a popular dad outside a nightclub. Jason Glancey died after an alleged confrontation in Blyth in the early hours of a Sunday morning in April this year. Connor Long was accused of killing Mr Glancey by punching him and causing him to fall backwards and hit his head on the ground but a jury found him not guilty of manslaughter. Newcastle Crown Court heard there had been an incident outside Deja Vu, on Stanley Street, Blyth, on April 30. 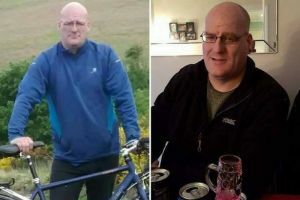 Prosecutors said Mr Long punched 45-year-old Mr Glancey, knocking him backwards into the road and the impact of his head on the ground fractured his skull. Jurors were told he never regained consciousness and died on May 17 of complications from a traumatic brain injury. Police are hunting a suspected arsonist, after four classrooms were destroyed in a Northumberland school. 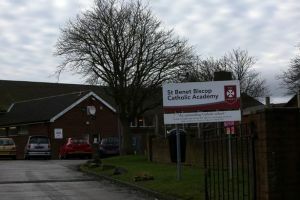 On Thursday, a fire broke out at St Benet Biscop Catholic Academy, in Bedlington, causing “substantial damage” to one classroom. Officers investigating the fire now say they suspect it may have been set deliberately. A spokesperson for Northumbria Police said: “The fire at St Benet Biscops High School, Ridge Terrace is being treated as arson. “It happened at approximately 1.30am on Thursday, October 26, when substantial damage was caused to one classroom and spread to a second.” Teachers say in total four classrooms were affected by the blaze. Tragic Bethany Fisher’s family are fighting to get the driver that killed her locked up for longer. The 19-year-old died when Jordan O’Donnell’s Ford Mondeo smashed into parked vehicles in Bedlington , with Bethany in the back seat. O’Donnell admitted causing death by dangerous driving and was jailed for six years at Newcastle Crown Court earlier this month. But after hearing the killer driver could spend as little as two-and-half years behind bars, Bethany’s family have vowed to fight for a longer sentence. Bethany’s mum, Isabel Easson, has now made an official request to appeal against the sentence in a bid to get O’Donnell’s prison term increased. And today the tragic teen’s aunt, Suzanne Scott, has told how the family do not believe they have yet got justice for Bethany. Bethany Fisher’s devastated parents bravely read out heartbreaking statements in court as the killer driver who took their “beautiful daughter” from them was locked up. Mum Isabel Easson found her daughter dying after Jordan O’Donnell lost control of his Ford Mondeo ST outside her house. 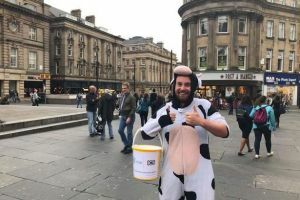 O’Donnell was “on the face of it showing off” after offering to give 19-year-old birthday girl Bethany and her best friend, Meg McBurnie, a lift. 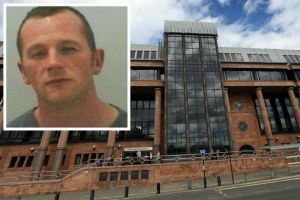 As he reached estimated speeds of around 60mph in residential streets of Bedlington, Northumberland, the girls in the back seat asked him to stop it. But as the 20-year-old - who had only passed his test weeks earlier - carried out a dangerous overtaking manoeuvre on a bend, he lost control, smashing into parked cars, careering out of control and hitting a fence and wall. The noise of the crash woke Isabel and she went out into the street on Victoria Terrace to seek to help - only to be confronted with the horrific scene of her daughter fatally injured and Meg lying on the ground screaming in agony. 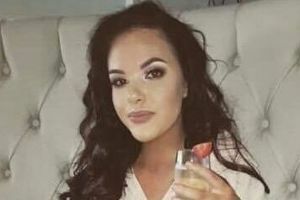 A teenager out celebrating her 19th birthday was killed outside her mum’s home by a danger driver who ignored her pleas to slow down then fled the scene and left her to die. 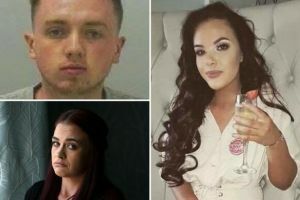 Jordan O’Donnell was “on the face of it showing off” behind the wheel of a high-powered saloon after offering to give Bethany Fisher and her best friend, Meg McBurnie, a lift. 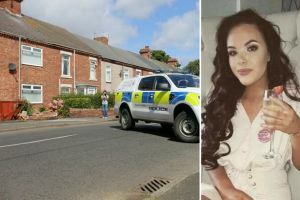 As he reached estimated speeds of around 60mph in residential streets of Bedlington, Northumberland, the girls in the back seat asked him to stop it. But as the 20-year-old - who had only passed his test weeks earlier - carried out a dangerous overtaking manoeuvre on a bend, he lost control, smashing into parked cars, careering out of control and hitting a fence and wall. The noise of the crash woke Bethany’s mum, Isabel Easson, and she went out into the street on Victoria Terrace to seek to help - only to be confronted with the horrific scene of her daughter fatally injured and Meg lying on the ground screaming in agony. Despite the devastation he had caused, O’Donnell callously fled to his home nearby and calmly phoned police, lying that his turbo-charged Ford Mondeo ST had been stolen during a burglary at his home and requesting police attend. People are dying because passers by are too scared to carry out CPR – a heart charity has claimed. The British Heart Foundation said 85% of people would not give CPR if someone suffered a cardiac arrest due to a lack of knowledge. Every minute without CPR increases a person’s risk of death by around 10%. The BHF survey found that just 41% of people in the North East would feel confident giving CPR to a stranger, citing concerns about causing more harm than good. However, more than a third of North East residents feel they lack the skills and knowledge to perform CPR at all. 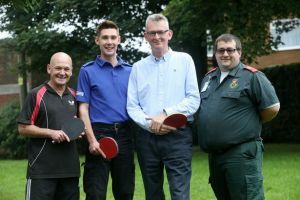 Mike Jones, 63, from Nedderton near Bedlington, had his life saved by CPR when he suffered a cardiac arrest on June 19 after a game of table tennis. 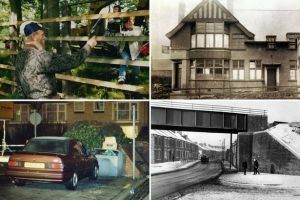 They are the scenes of some of the North East’s most notorious crimes - but how many people realise it? Most are mundane sites you wouldn’t look twice at. But due to events they have the notoriety of being a part of the region’s criminal history. While some have changed beyond recognition due to re-development, others look familiar to those who remember the original crimes. Here we list the scenes of the most infamous of crimes as they were when the event took place and how they look now. Location: Pesspool Bridge, South Hetton, County Durham. January 5, 1967. Arguably the North East’s most famous crime, the so-called ‘one-armed bandit murder’ which reputedly helped inspire the Get Carter film starring Michael Caine. Former Journal and Chronicle reporter Dave Black has died suddenly aged 61. The father-of-two died at home in the early hours on Sunday morning. Dave was a well-respected journalist who worked for the Northumberland Gazette before moving to work for the Journal in 1986. His family have been left devastated by his sudden unexpected death. He leaves behind his wife of 34 years, Linda, daughter Cassie, 29, son, Robbie, 32 and step-daughter Donna Anderson. 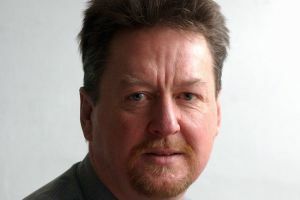 He lived in Alnwick for over 30 years and covered south east Northumberland for both the Chronicle and the Journal before he left four years ago. Control freak Carl Tennant subjected his partner to a terrifying attack after complaining that his breakfast was not ready - then set about giving her a “broken nose for Christmas”. The brute had already sought to snuff out any independence the woman had, even discouraging her from travelling to visit friends and family. A court heard he viewed his then-girlfriend’s primary duty as being to serve and look after him. In October last year he launched an attack after complaining about their relationship and about his breakfast not being ready, Newcastle Crown Court heard. He grabbed her and pushed her, threw a piece of metal artwork at her and lifted her up by her ankles. When Tennant noticed she was bleeding he dragged her upstairs to run a bath and threw the hysterical woman in, fully clothed.